According to the National Transportation Safety Board, the accident involved a Bell 206B - a two-bladed twin-engine helicopter. The wreckage from the crash was discovered on Sunday morning. Local police say there were multiple fatalities, but have not formally named the victims. 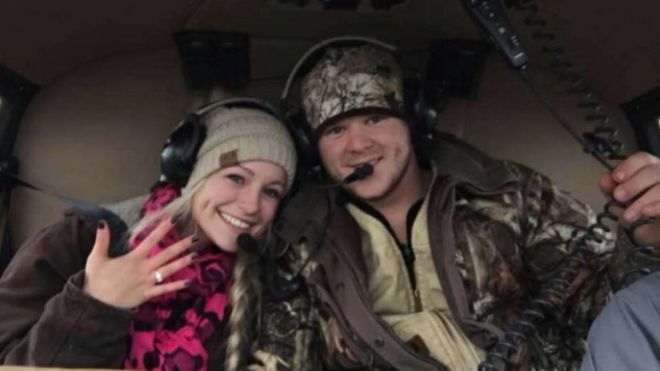 A wedding website created on The Knot showed a statement from the company on Monday saying: "Our deepest sympathies and thoughts are with this family at their great loss. "We know both families appreciate all your love, support and kindness during this time."